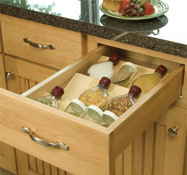 Keep your kitchen cabinets and drawers in order with spice racks and door organizers from noted brands like Rev-A-Shelf, Custom Inserts, Hafele, Knape & Vogt (KV), Omega National Products and Blomus. 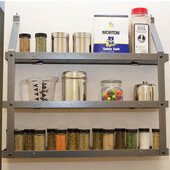 Choose from door-mounted, wall-mounted and drawer-insert spice racks as well as paper towel and kitchen wrap racks that mount inside the cabinet or on the wall and door ladder kits in wood, or wire. Whatever your storage need, you'll find a wide selection of spice racks, door organizers and racks to store everything beautifully. 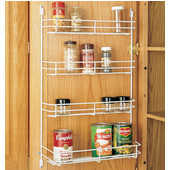 Hafele cabinet accessories help you make your home more efficient. 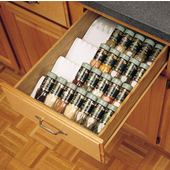 With Hafele spice drawer inserts and door mounted spice racks, you're sure to find the storage solution that's perfect for you.